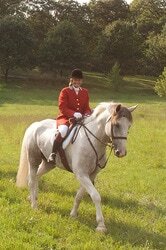 Please call the Honorary Secretary, Meg Guilot at 412-527-2476 for permission to bring a guest hunting. Guests must present a signed release and capping fee to the Honorary Secretary before hounds move off. Release forms are required to be signed once annually for members and non-members alike.